Cattails can spread rapidly to water depths of four feet. Established cattails over time trap sediments, grass clippings and leaves. As this foundation builds creating shallower conditions the cattails further encroach accelerating the transition from open water to a dominant emergent weed pond or shoreline. Pond and lake views are reduced by cattails that can grow to ten feet. The best method is the application of a herbicide with the active ingredient called glyphosate found in brands like Rodeo and Shore-Klear. Rodeo herbicide is applied directly onto the dry emergent portion of the plant. The herbicide will translocate down into the root system controlling the plant permanently. We recommend cutting only when there are a few Cattails in the way. Cutting is labor intense and regrowth typically occurs within the same season. 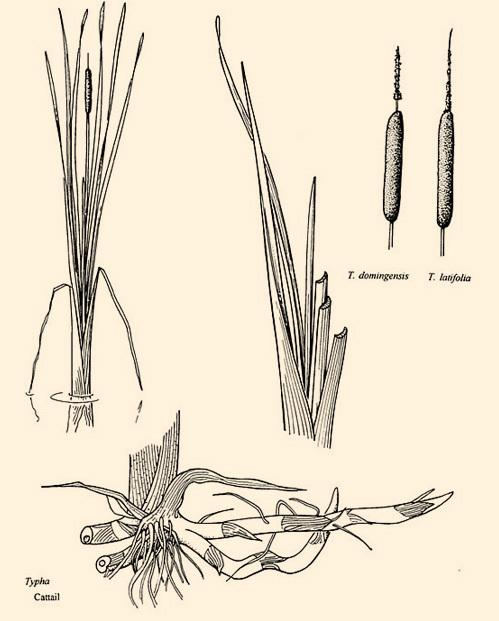 A.Cattails should be treated when mature from July to approximately one week before the first killing frost. Cattails can be treated sooner but the need for a repeat application increases. Q. Can I treat a portion of the Cattails? A.Yes, because the application is topical it will only affect the cattails that are sprayed so you can choose to control a percentage. 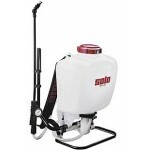 Liquid herbicides like Rodeo should be applied by a hand held pump up type sprayer or a Solo Back pack sprayer. Q. Do I have to treat Cattails every year? A.No, control can last anywhere from three to five years or more depending upon if you treat all the cats or a portion. Ninety plus percent of Cattails are controlled the first year within the chosen treatment site. Some follow up is usually required the second season. Q. Is the water safe for humans, fish and wildlife after treatment(s)? 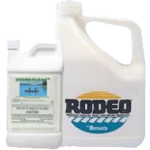 A.Yes, There are no swimming, fishing or irrigation restrictions with Rodeo herbicide. There are no restrictions for domestic pets or wildlife such as ducks, geese, cats, wild birds or the family dog. A.Generally within ten days the tips will begin to turn brown migrating towards the base. If you wish to remove the treated Cattails wait at least two weeks post treatment to insure that the root structure has been destroyed or just let the cattails decompose.